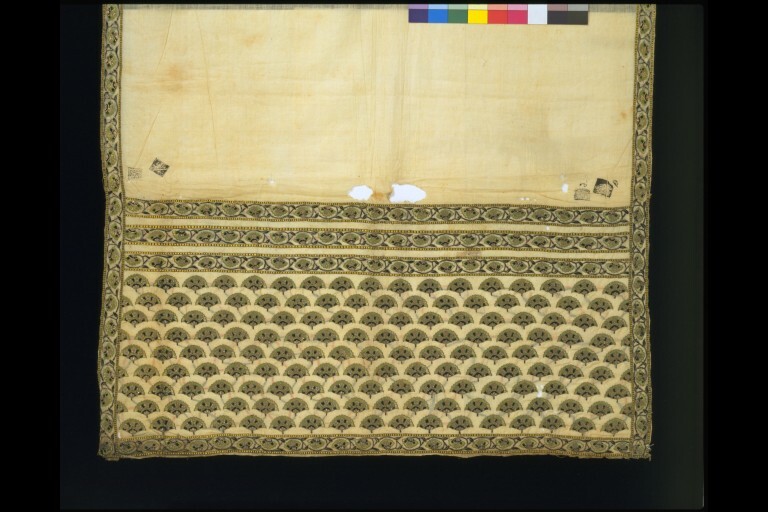 Girdle (patka) of embroidered muslin with silk and silver threads in satin stitch and couching. Broad end borders and narrow sides. With rows of fan-shaped flowers on the end borders. 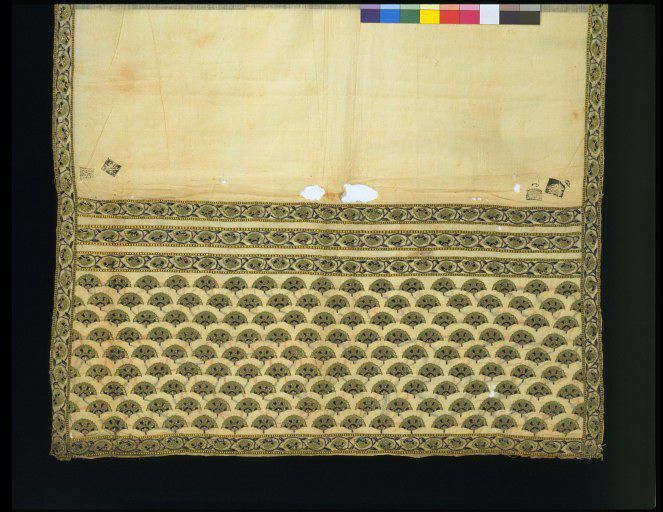 Pattern in green and yellow. 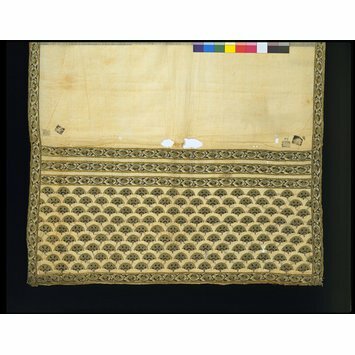 Girdle (patka) of embroidered muslin with silk and silver threads, India, 17th century.